When slavery was abolished in 1865, it did not simply disappear overnight, rather, it evolved. Racism and Discrimination became the new form of slavery in the united states and has continued to be a pressing issue, even in 2017. The middle of the 20th century brought the beginnings of people standing up against this injustice and speaking out a message of hope for the future. Two of these people were Mahalia Jackson, and Marian Anderson. Both of them, around the same time period, used their musical influence to stand up and peacefully strive for equality. What these two woman have in common was their use of song to make a statement against political opposition and oppression. In an article from 1939, it discusses Marian Anderson sinning American Folk Songs, as well as Gospel on the steps of the Lincoln Memorial. Anderson was to have a performance at Constitution Hall in D.C. but the “Daughters of the American Revolution” (DAR) refused to allow her to perform to an integrated audience This performance was a demonstration of her strength and unwillingness to back down. Closing her performance with a performance of the spiritual “Nobody knows the trouble I’ve seen” gave a solid stance of her strength. Jackson once said about her choice of gospel, adding, “It gives me hope. With the blues, when you finish, you still have the blues.” The power to which this woman sang was an obvious representation of her pride and hope for peace. In a world where even with all of her fame she was still considered a “colored” person. To have such strength and an the attitude to fight for what you believe in so strongly is incredibly commendable and admirable. Their connection to Americana Folk music, while still sticking to their gospel traditions was their attempt to bridge the gap between races and to sing for an America that is equal and free. 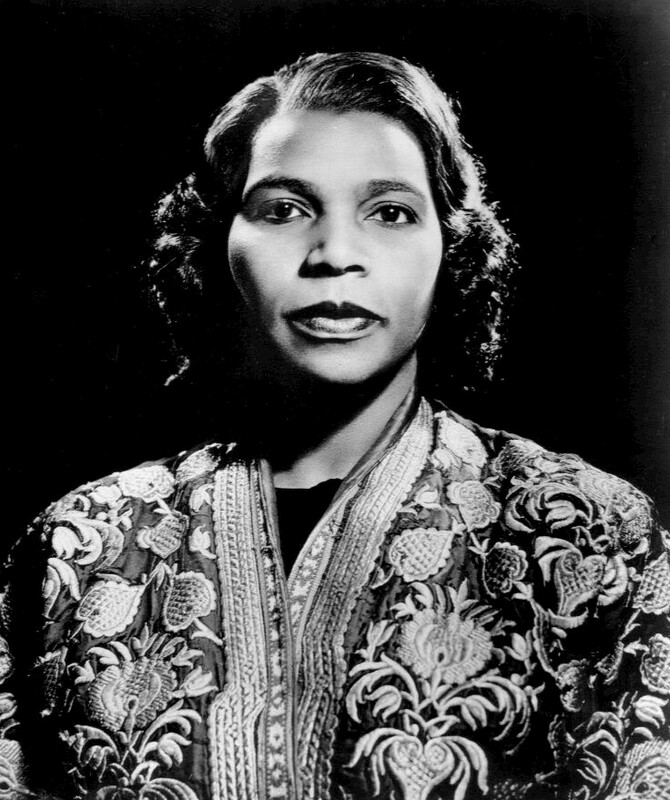 “MARIAN ANDERSON SINGS TO 75,000 IN OPEN AIR RECITAL.” 1939.The Chicago Defender (National Edition) (1921-1967), Apr 15, 1. https://search.proquest.com/docview/492549785?accountid=351. Thejazzsingers. 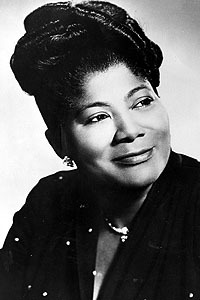 “MAHALIA JACKSON PRECIOUS LORD TAKE MY HAND.” YouTube. June 18, 2009. Accessed October 17, 2017. https://www.youtube.com/watch?v=as1rsZenwNc.